At the end of November of this year, Iran and the E3+3 international mediators reached an agreement regarding the nuclear programme of Iran, which resulted in easing the economic sanctions against Tehran. Although the agreement was signed for a six-month period, the parties emphasise that it is the “first step”. The six countries which signed this document recognise the right of Iran to a nuclear programme and uranium enrichment in the future on condition that this programme is monitored by the IAEA. UN Secretary General Ban Ki-moon welcomed the interim agreement with Iran and expressed the hope that it “could turn out to be the beginnings of a historic agreement for the peoples and nations of the Middle East region and beyond”. The UN Secretary General urged the governments concerned to “do everything possible to build on this encouraging start, creating mutual confidence and allowing continued negotiations to extend the scope of this initial agreement”. The easing of economic sanctions will affect the right of Iran to the trade in oil, gas and gold and will allow it to earn about 6 billion dollars during half a year.The talk is of potential revenues worth 1.5 billion dollars from the trade in gold and other precious metals, as well as, according to reports from the United States Department of State, due to the lifting of some of the sanctions concerning the automotive industry and other exports. The Reuters agency, in turn, reports that, thanks to the easing of sanctions, Iran will be able to earn 4.2 billion dollars on the sale of oil and gas. However, some of the sanctions will remain in place: with regard to the Central Bank of Iran and another 20 major banks of the country. If Tehran accurately complies with the conditions of the signed agreement over the next 6 months, no new sanctions will be imposed against Iran. The statements made by the US President and Secretary of State voiced the idea that the agreement takes into account the interests of all allies of America, including Israel and Saudi Arabia. These countries have expressed particular concern about Iran’s nuclear programme. The President of the United States noted that, for the first time in a decade, the progress of the Iranian nuclear programme has been halted, and the imposed limitations will help prevent Tehran from getting closer to building a nuclear weapon during the next 6 months. 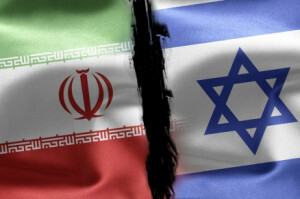 Nevertheless, in spite of these statements, it is unlikely that after the signing of the agreement Israel will dare deliver a preventive strike on Iran which Israeli politicians have been constantly talking about in recent years. Speaking at a press conference following the negotiations, Minister of Foreign Affairs of Iran Mohammad Javad Zarif stated that the international community has approved the right of Tehran to enrich uranium to a certain level, but Secretary of State John Kerry has refuted these words. However, according to AFP, the right of Iran to carry out uranium enrichment to a level of five percent is mentioned in the statement by the White House. Zarif clarified that Iran will be able to begin enriching uranium only at the last stage of the implementation of the agreement with the E3+3, reported Reuters with reference to the Iranian website Press TV. A senior official of the US Administration has stated to Reuters that, in the near future, President Barak Obama is going to discuss some points of the agreement on the easing of sanctions against Iran with Prime Minister of Israel Benjamin Netanyahu. In this regard, it was stressed that Israel has been and remains the closest ally of the USA in the Middle East. The USA’s complex political combinations may have far-reaching and not always predictable consequences. The international community could not ignore the statement by former head of the CIA Michael Hayden. In his recently published interview with Fox News, he stressed that “Iran’s going to be a nuclear threshold state”. He said that it is necessary to start right now the negotiations on a complete closure by Iran of its nuclear programme. According to Michael Hayden, in this situation, Israel, which, as has been noted, has become politically isolated as a result of the agreement of the “six” on Iran, could undertake actions that are extremely dangerous for the whole region and even the world. In the meantime, the situation is exacerbating near the northern borders of Israel, which is concerned about the activities of Hezbollah Shiite militants. According to reports from the Israeli army circles referred to by JP, on both sides of the Israel-Lebanon border the Israel Defence Forces and Hezbollah are intensively preparing for a new military confrontation, which is expected to exceed the previous wars in terms of firepower.